Why are volcanoes usually cone-shaped? 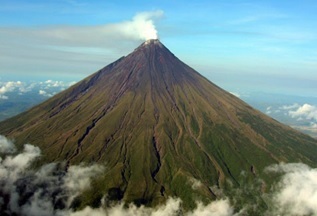 In this article you will get to know the reason that why are volcanoes usually cone-shaped. Q. Why are volcanoes usually cone-shaped? Ans. Volcanic landforms are formed by the ejections from the volcanic aperture. The magma, which is relatively viscous, flows down the sides of the mountain and solidifies as it goes down, forming a steep-sided cone-shape with a central crater. Previous Article Do you know how does a butterfly taste its food? Next Article When we are sick we are advised to take light, nourishing food. Why is it so?